My point is that limitation breeds creativity, so if you're working with a small budget and a small space, you're actually at an advantage. Think about all the home decor stores out there, and all the products inside. Yet with no money and no room, you're going to be able to cross off stores and products right away, leaving you to focus on a smaller pool. And if what you need isn't in that smaller pool, that's when you've got to do it yourself. 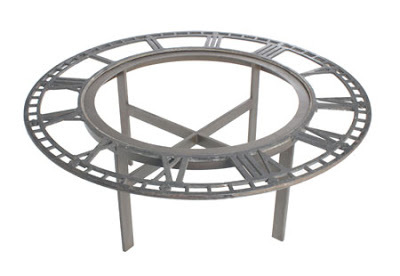 CasaSugar featured a coffee table the other day that got me thinking about this. 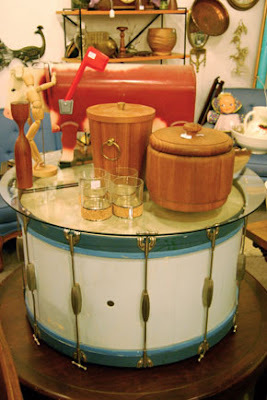 They stumbled upon a drum that had been turned into a coffee table by placing a glass top across it. Ingenious! And it looks awesome! I love the idea of taking something meant for one purpose, changing it just a little, and having it serve another purpose entirely. And imagine the money you could save! One man's trash is another man's treasure and all that. 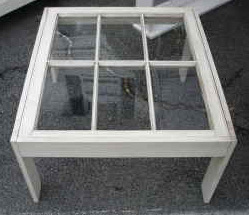 Below, Apartment Therapy found a window meant for the dumpster that was turned into another cool coffee table. 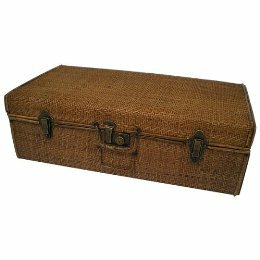 ... As could this rattan trunk from Target. 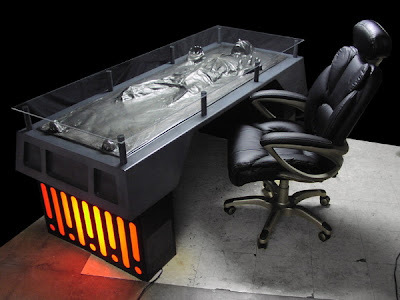 love the Han Solo desk! 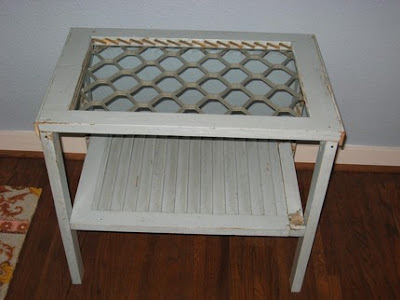 Oh yes, many of our tables are repurposed -- we have tables made out of doors, window grates and signs. And now I am making one out of an old base and some of my husband's huge architectural drawings. 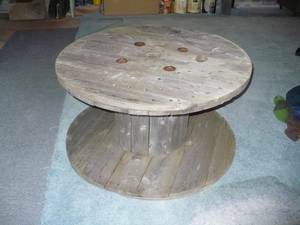 Had two cable spools for end tables "once upon a time". Put some nice round tablecloths on top that draped down just to the floor and they looked great plus you can store things behind the tablecloth. I love your blog!